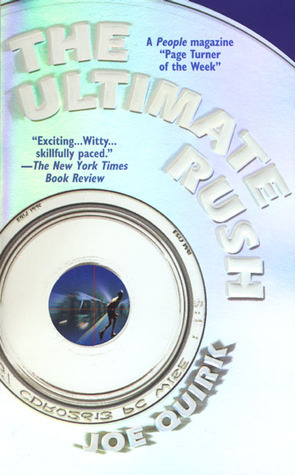 Summary: Chet Griffin, convicted computer hacker and San Francisco’s fastest rollerblading messenger, was given a simple assignment. But that delivery turned real deadly, real fast. Seems the package he was carrying contained a single computer disk — worth a cool billion.And everyone, from the Chinese mob to the SFPD, wants to get their hands on it. Now Chet’s fighting for his life, trying to clear his name, and wondering what price he’ll pay for..
Review: This novel is a thriller. It is action packed from the first page. It’s not my usual read, but a friend gave it to me and I’m glad they did. I love stepping out of my “comfort-read zone” and finding a new gem. (Though this book is like a decade or so old). I realized that the subject matter used all of my knowledge from the past year. The streets of SF (I could visualize every block he talked about), insider trading (I have a finance degree), and tattoos (love love love dem). As for the writing, it’s well done. He uses a lot of description but does it well, using the narrator’s voice, which is packed full of street lingo! It was a fun ride with Chet! Quirk is also a magician with dialogue. Though it may seem annoying at first, what with all the lingo and puns packed into a ten word sentence, the actual dialogue moves the story forward.